Our team is made up of 5 students: Allegra from Germany, Ciro from Italy, Nid from Thailand, and Ling and Lynn from Malaysia. Our team members have not gotten a chance to properly know one another since the start of the MBA programme in September last year, so our first week, apart from kicking off the research phase of our project, was also aimed to bring the team closer together. Our team’s kick-off meeting was held via a conference call in Judge Business School. With the number of teams located in Cambridge this year, we were glad that the facilities at the school were always readily available to all teams. Our kick-off meeting went off without a hitch and we received a clear picture of what we are tasked to do in the upcoming month! We took the day to strategise and come up with a work plan for the month. In our preparation, we tried to apply theories which we have learned in class, and improve on what we lacked during the Cambridge Venture Project last December. All in all, we believe our group had the perfect group dynamics to take on this wonderful month together. It appears we are, as Prof Keith would say, a ‘super cappuccino’ team. The day ended early to have our first dinner as a team! 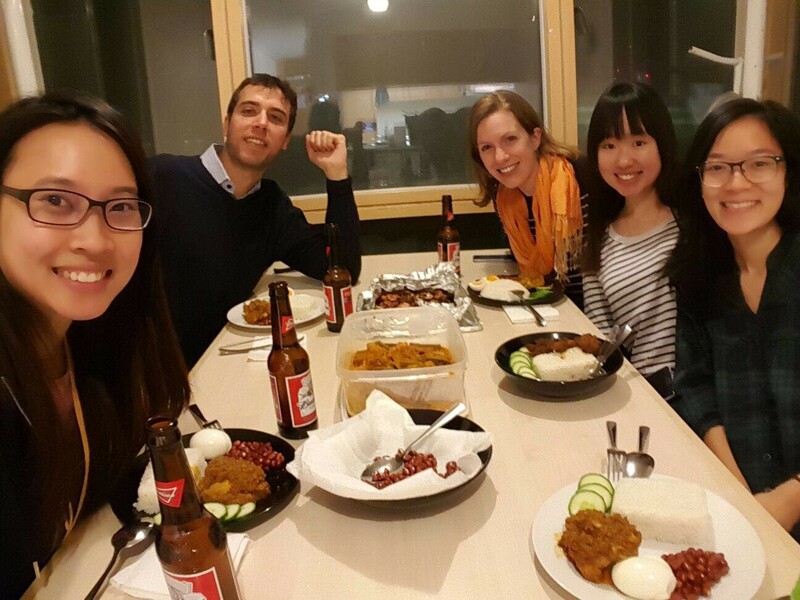 We have decided to cook Malaysian dishes for the team as part of our efforts to learn more about each other’s culture. The team bonded over good food and good company, we learned much about each other and built up much excitement to dive into the project!